Red China’s passionate desire to exercise power and influence over her weaker regional neighbors has undermined the prospects for Peace, Security, and Stability in Southeast Asia since 1950s. 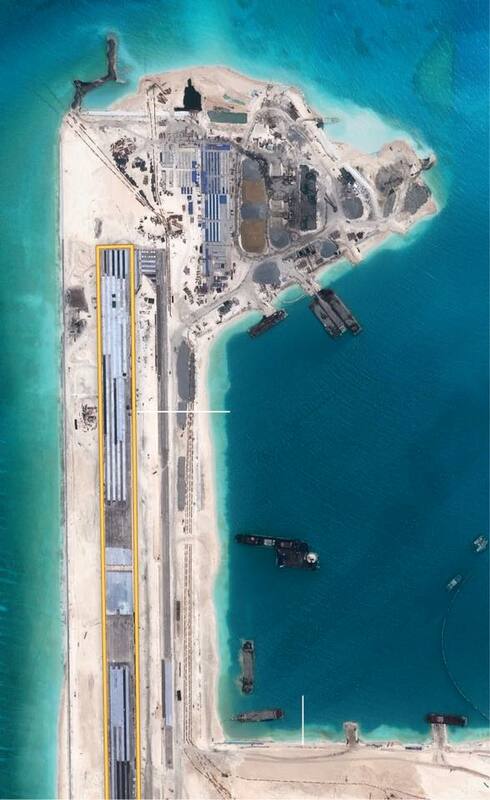 RED DRAGON – RED CHINA – IMPERIALIST: A satellite image of China’s military airstrip at Fiery Cross Reef. 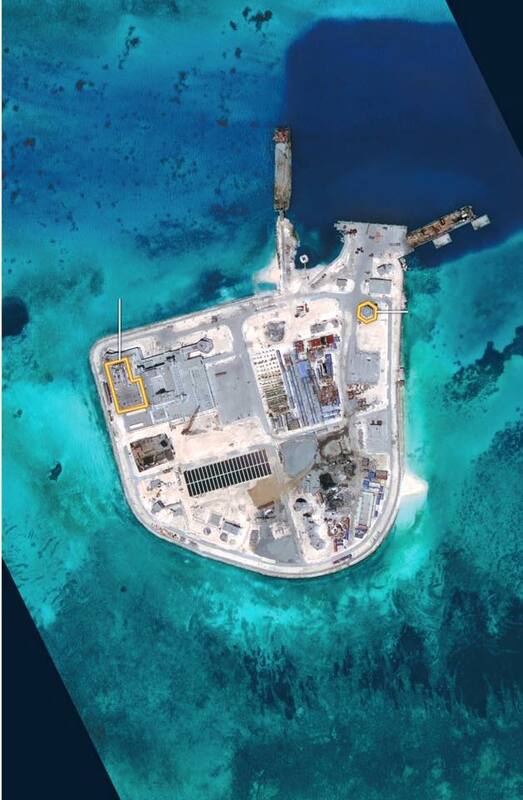 Land reclamation in the South China Sea has “increased tensions” in the region, Southeast Asian foreign ministers said Thursday at the close of talks dominated by Beijing’s island-building. The declaration, contained in a final communique, followed a warning by US Secretary of State John Kerry that Washington would not tolerate any restrictions on freedom of navigation in the strategically important waters. The Southeast Asian ministers’ joint final statement noted “the serious concerns expressed by some ministers on the land reclamations in the South China Sea”. It said the land works “have eroded trust and confidence, increased tensions and may undermine peace, security and stability in the South China Sea,” without specifically singling out Beijing. The communique was hashed out after two days of wrangling over how hard to pressure China on its controversial drive to expand tiny reefs and build military posts in the disputed waters. The issue took centre stage at the series of diplomatic meetings this week in Kuala Lumpur, hosted by the 10-nation Association of Southeast Asian Nations (ASEAN). US Secretary of State John Kerry attends an Association of Southeast Asian Nations (ASEAN) meeting in Kuala Lumpur, Malaysia. They also included envoys from two dozen other nations such as China and the United States. Beijing claims control over nearly the entire South China Sea, a key shipping route thought to hold rich oil and gas reserves. Vietnam, the Philippines, Malaysia and Brunei — all ASEAN members — also have various claims, as does Taiwan, many of which overlap. Even before the land reclamations, China had sparked rising unease over the years with actions interpreted as seeking to shore up its disputed claims, in violation of a pledge not to upset the status quo. A day after voicing concern to his Chinese counterpart Wang Yi over the potential “militarization” of the South China Sea, Kerry said freedom of navigation must be maintained. Alleged reclamation by China on what is internationally recognised as the Johnson South Reef in the West Philippine Sea or South China Sea. “Let me be clear: The United States will not accept restrictions on freedom of navigation and overflight, or other lawful uses of the sea,” he told reporters. Diplomatic sources told AFP the Philippines and Vietnam — which have been in the most direct confrontation with China — had called for strong language. 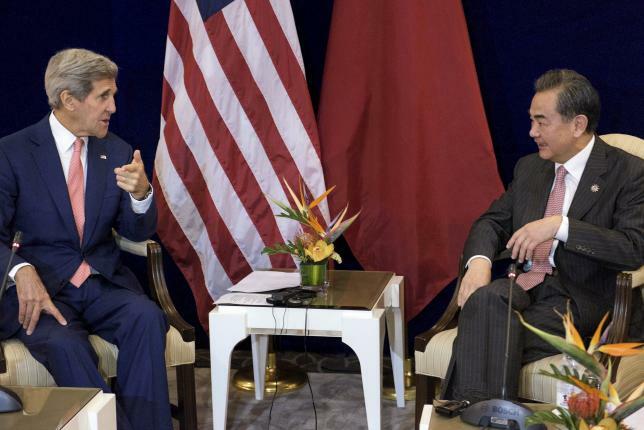 But they said there had been pushback from Beijing’s traditional allies among the association. Cambodia, Laos and Myanmar traditionally side with China within ASEAN. The tug-of-war raised the spectre of a bitter 2012 ASEAN meeting hosted by Cambodia, when the bloc was unable for the first time in its four-decade history to issue a joint statement. Cambodia was accused of precipitating the debacle by refusing to allow criticism of China over territorial issues. A Malaysian foreign ministry source told AFP there were some “ASEAN members who said that we don’t want a repeat of 2012”. 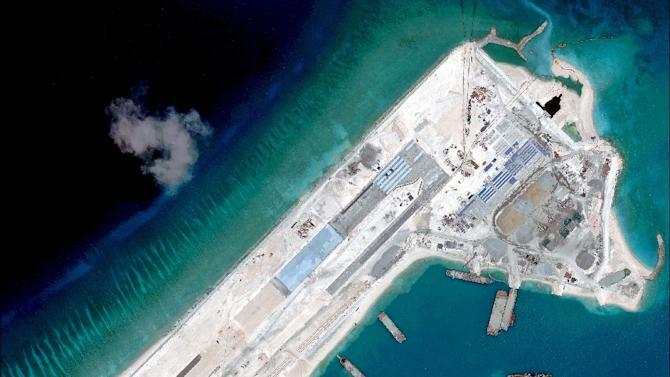 The United States and Southeast Asian nations have called for a halt to further island-expansion and construction by China. Wang, however, said Wednesday that land reclamation had “already stopped” — a claim some diplomats said was met with scepticism at the gathering. ASEAN has expressed increasing impatience with China’s actions over the years. Analysts, however, say Beijing maintains immense diplomatic and economic leverage in the region and that a concerted and sustained effort by ASEAN to resist China’s assertions was unlikely. WHOLEDUDE – WHOLE PLANET, Blog at WordPress.com.